Some say this is the worst film of 2012. I have yet to see it. I'm not in a rush but I will definitely see it one day. The story about Cronos doesn't make much sense to me. I have this movie. I bought it more or less out of curiosity and to tell you the truth I'm still scratching my head as to why I did!! I have seen worse, but the movie really doesn't make much sense at all. As I suspected from reading the storyline or watching the trailer. This film is a huge WASTE of talent and content. There is no denying that all the people involved, from actors, to effects makers, costumers, the composer, etc, are doing a stellar job. But the script is a mess, and you keep thinking that every character featured is not given their proper due. 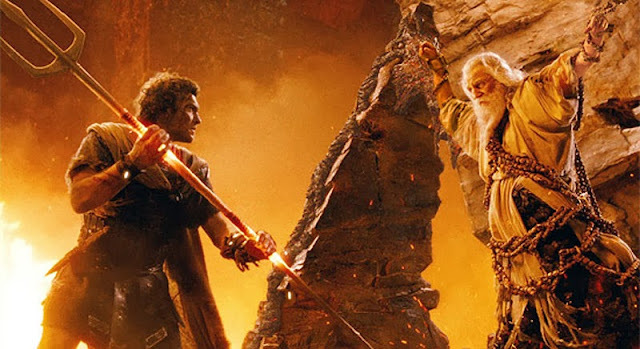 Hephaestus is especially thrown away.